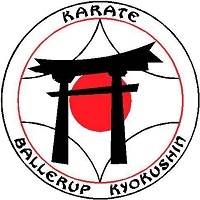 Ballerup Kyokushin Karate follows up the success from previous years and invites participants with none or limited fighting experience to the annual knockdown karate tournament. The tournament will take place on the 4th February 2017. The purpose of the tournament is to give inexperienced fighters an introduction and to experience with full contact karate. The tournament is open for all styles who want to try full contact karate kumite. Ballerup Kyokushin Karate follows up the success from previous years and invites participants with none or limited fighting experience to the annual knockdown karate tournament. The tournament will take place on the 4th February 2017. The purpose of the tournament is to give inexperienced fighters an introduction and to experience with full contact karate. The tournament is open for all styles who want to try full contact karate kumite. Fights will be conducted according to the European Karate Organizations (Kyokushin) kumite rules as described at www.european-kyokushin.org under Download. At the start of the tournament there will be board-breaking (tameshiwari) for all men. The tournament will where possible be implemented as group matches to ensure competitors more than a match. Use of dental protector, white shin and instep protector and for ladies chest protection (cup type) is mandatory and it will be possible to fight with helmet. It is assumed that all registered competitors meet the criteria, but tournament organizers reserve the right to reject any competitors who, in their judgment does not comply with the criteria. Registration is performed on the registration form and send to the email address challengecup@ballerupkyokushin.dk. Registration and payment of registration fee can be made no later than 30th January 2017. Signed exemptions must be brought to the tournament day. On the tournament day there will be weigh-in and medical check between 12.00 and 13.00 with the match start at 13.00. Ballerup Kyokushin Karate wishes you all a good preparation and look forward to meeting you for the tournament. Official facebook site Click poster for info package!